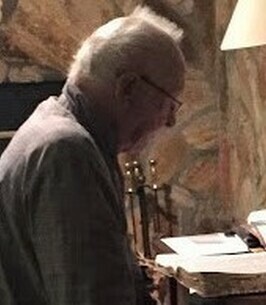 Paul Newton Garner, age 90 of Alto, passed away on Thursday, November 29, 2018. Born in Canton, Georgia on March 26, 1928, he was a son of the late George Thomas Garner and Nora Kemp Bolden. Mr. Garner retired from Fieldale as a supervisor in the processing plant. He was the former Mayor of Alto for 12 years. Mr. Garner enjoyed gardening and cattle farming. He was a member of Living Mission United Methodist Church. In addition to his parents, he was preceded in death by step son, Wesley Glenn Martin; grandson, Josh Irwin Worley; brothers, Thomas Edward Garner and Harold Lee Garner; sister, Claudine Martin. Surviving are his wife, Dorothy Nell Ervin Garner; son and daughter-in-law, Tim & Sandra Garner of Lula; daughters and son-in-law, Tammy Murray of Alto and Jean & Kerry Collins of Gainesville; step son, David Martin of Alto; step daughters and step sons-in-law, Patti & Cecil Worley of Homer and Carol & Dale Carter of Lula; daughter-in-law, Vickie Martin of Alto; 11 grandchildren; 8 great grandchildren; 4 great-great grandchildren; brother, Tommy Garner of Tennessee; several nieces, nephews, other family and friends. Funeral services are scheduled for 11 am, Saturday, December 1, 2018 in the Chapel of McGahee-Griffin and Stewart with Pastor John Wood and Rev. Deron Crocker officiating. Interment will follow in Living Mission United Methodist Church Cemetery. The family will receive friends from 6-8 pm on Friday at the funeral home. Flowers are accepted or donations may be made to The Gideon’s International Habersham South Camp, PO Box 195, Baldwin, GA 30511. To plant a tree in memory of Paul Newton Garner, please visit our Heartfelt Sympathies Store. We encourage you to share any memorable photos or stories about Paul Newton. All tributes placed on and purchased through this memorial website will remain on in perpetuity for future generations. Garner family deeply sorry to hear of the loss of your loved one. May God give you strength! Our deepest sympathies on the loss of Papa Paul. We have many fond memories of him and Mama Dot thru the years and events we shared with them. Praying for comfort, strength and peace that only God can give. Love and hugs to each of you. To the Family of Paul Garner: The Bible at Psalms 90:10 says: ‘the span of our life is 70 years, Or 80 if one is especially strong.’ May the strength of your loved one trickle down to family and friends helping you to cope in the days ahead. As you cherish warm memories, lean on God for ‘everlasting comfort and good hope’, 2 Thessalonians 2:16, 17, for he is close to those ‘brokenhearted’ Psalm 34:18. My deepest sympathy.